Palm Court Hotel - Hotel Hotel 31 Eastern Esplanade, Margate CT9 2HL. Palm Court Hotel - Hotel, 31 Eastern Esplanade, Margate CT9 2HL. Situated on the Eastern Esplanade, the main seafront road from Margate to Broadstairs, we overlook the beautiful Oval Garden of the Queens Promenade, which overlooks the sea below. Eastern Esplanade is a wide road and part of a principal cliff top thoroughfare. As a result, the hotel enjoys good and uninterrupted sea views from the guest lounge and all the suites. Being a family-run, small hotel, we serve only fresh home-cooked food of the highest standard, prepared by the in-house cook. Our Leisure Suite is highly recommended because of its uniqueness and individuality in Margate. It boasts a sauna, hot tub with hydrotherapy. The small gym is equipped with varieties of body toning machines and is free. There are changing rooms, and a sunbed in the solarium. Our tranquil back garden is small and private, and features an outdoor jacuzzi and a fountain. 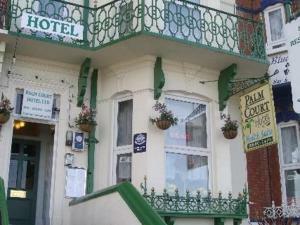 Hotels in Margate: Palm Court Hotel - Hotel, 31 Eastern Esplanade, Margate CT9 2HL.